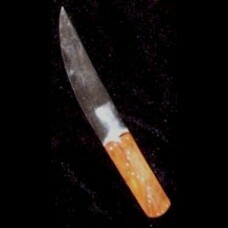 The Cartouche Knife was one of the most extensively traded knives in 17th and 18th century North Ame.. 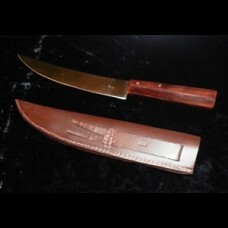 Carbon steel, tempered to hold a good edge and finished with a nice, aged patina to give it that tru..
Based on historic examples and styles found throughout the colonial era. 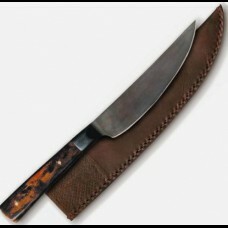 Hand-forged from carbon st.. 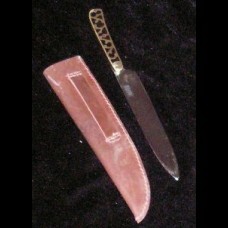 This massive (23" overall length) early period Scottish dirk is patterned after those produced in t.. 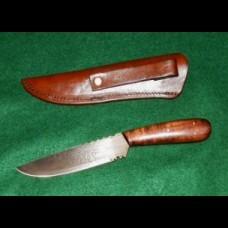 This style folding knife was popular during the 18th century. 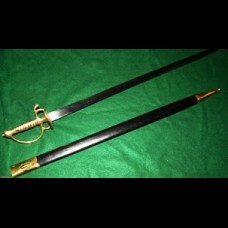 A fine reproduction similar to one sho.. 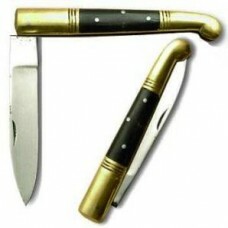 The folding knife was popular from the mid-1700s through the mid 1800s and is an authentic reproduct.. 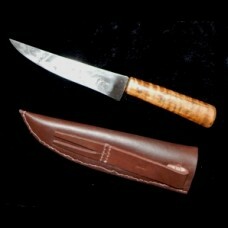 In a continuing effort to offer the work of accomplished American craftsmen, we're pleased to presen.. 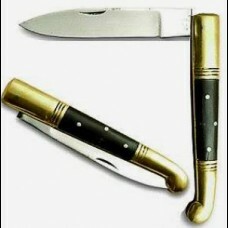 This sleek knife is modeled after the well known French Couteau Boucheron, an extremely popular knif.. 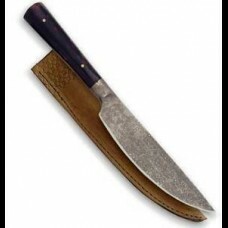 The high carbon steel blade shows slight markings from hand forging, and is typical of these tools t..
Beautiful Damascus steel. 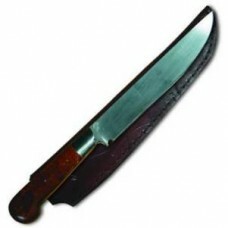 The hand-forged, patterned welded blade is 5â€ long and features antique.. 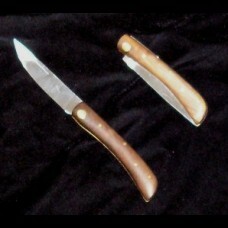 This "Roach Belly", with its curved cutting edge, was an extremely popular style sold by most North ..
Roach Belly Style Scalping Knife. 18th & early 19th century records from the American Fur Compa.. 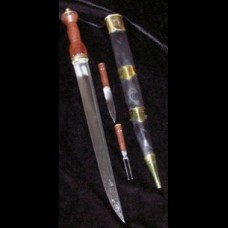 Heavy steel blade with a brass hilt. Round button type locket. 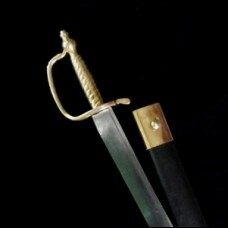 The scabbard is leather w..
Brass hilt was a 28" steel blade. 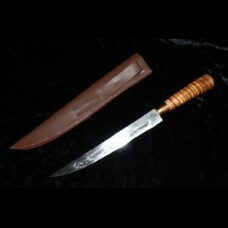 Tempered carbon steel can be sharpened to take an edge. The scabba..